What was once a goofy story of secret identities and retro-futuristic technology is getting turned into a tale of a small-town singer who becomes a hashtag-ready viral sensation. 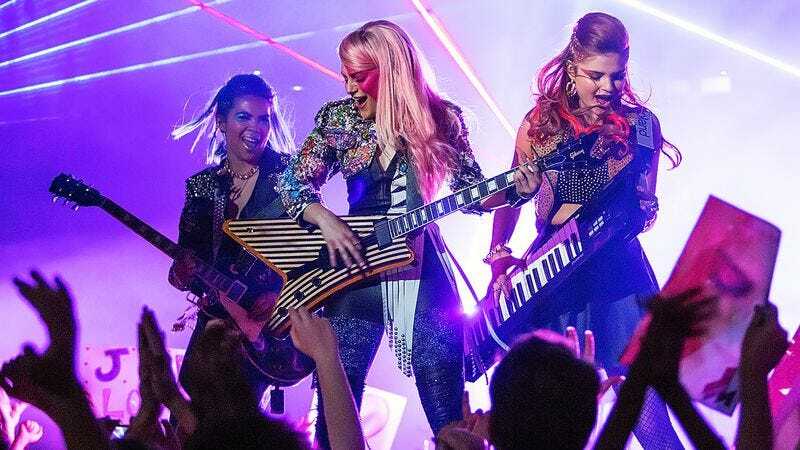 While fans of the iconic (and oddball) animated series may cry blashpemy at the notion of Jem being updated for the YouTube generation, Step Up 2 and Step Up 3D director Jon M. Chu certainly knows what he’s doing. After all, YouTubers are veritable celebrities to teenagers, with more and more of them becoming self-made millionaires from their daily video blogs. Whether or not the film retains any of the series’ distinctly ’80s charms remains to be seen, but it does, at the very last, have Molly Ringwald among its cast. Jem And The Holograms opens in theaters everywhere on October 23, but The A.V. Club and Universal have an opportunity for you to see it for free on October 21. For your chance to win a pair of passes to the advance screening, simply follow the link here and enter your information. As always, seats will be first come, first served, so be sure to arrive early. An official plot synopsis and trailer for the film can be found below.